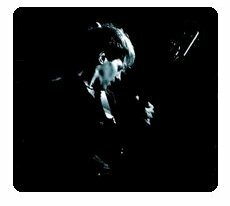 Jeff Thall first appeared with Bryan Ferry as lead guitarist on his 1988-89 Bete Noire tour. After the tour Jeff did some recordings with Bryan and the fruits of these sessions ended up on the Mamouna and Avonmore albums. Jeff rekindled his musical association with Bryan as one of the guitarists on the Olympia tour in 2011. Jeff Thall is a guitarist, composer, producer and mixer based in New York City. to Electronic / Rock and everything in-between. Jeff’s music can be heard in a wide range of television shows including Biography (A&E), True Life, Made (MTV) and various shows on Animal Planet, Discovery and The History Channel. He has also written music for numerous television commercials including Ford, Toyota, Kodak, Glade, Crest, Dodge, Almay, TV Guide, BB&T Banks and many others. As a guitarist and keyboard player, Jeff has toured and recorded with John Cale, Bryan Ferry, Nils Lofgren, Ultravox, Leona Naess, Keith Caputo, Lamya, Swimmer, Kirk Ross, Civilized Tears and many others. Jeff has also produced and mixed records for a variety of bands and solo artists.